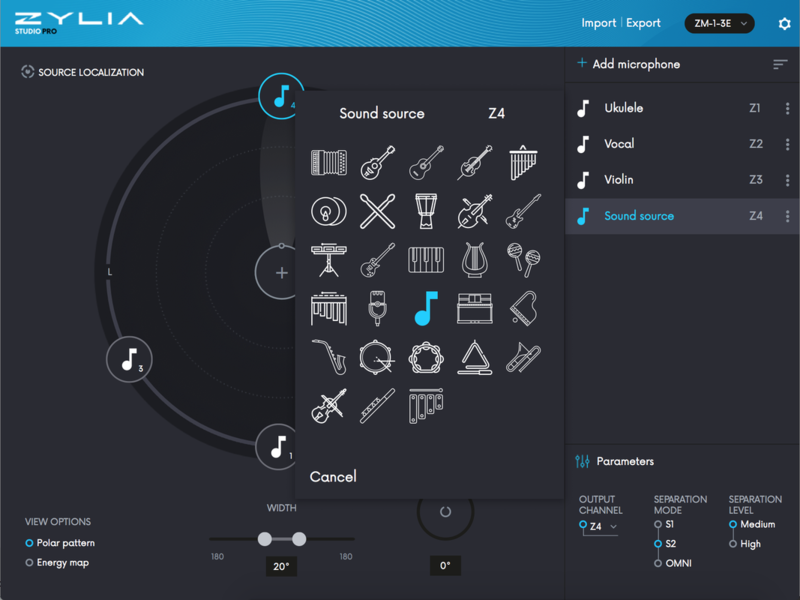 ZYLIA Studio PRO - ZYLIA PORTABLE RECORDING STUDIO. MULTI-TRACK MUSIC RECORDING WITH ONE MIC. 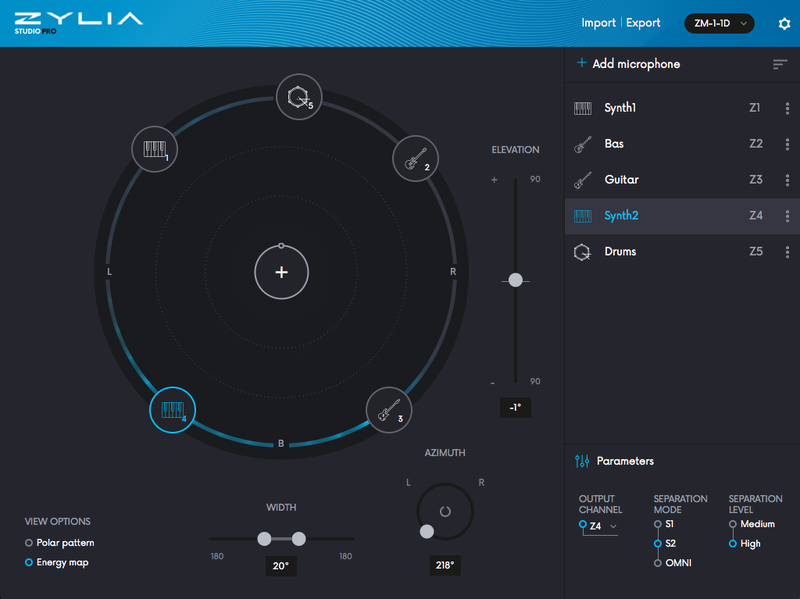 ZYLIA Studio PRO is a VST/AU/AAX plugin which will give you an access to spatial filtering and signal separation directly in DAW. 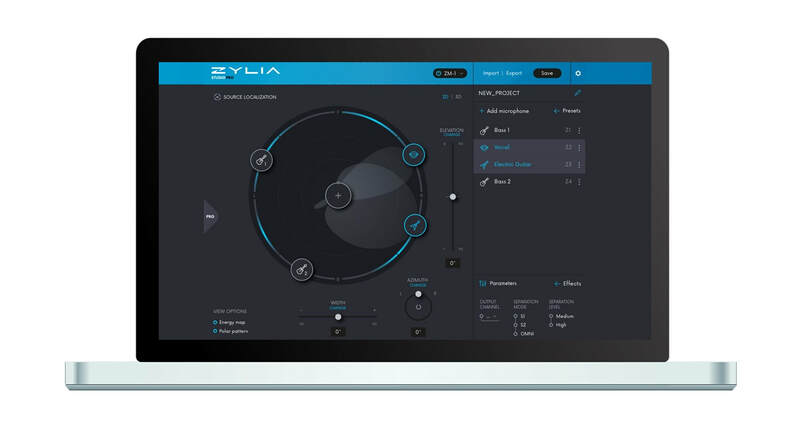 ZYLIA Studio PRO changes a single 19 capsule microphone ZYLIA ZM-1 into an unlimited number of virtual microphones. 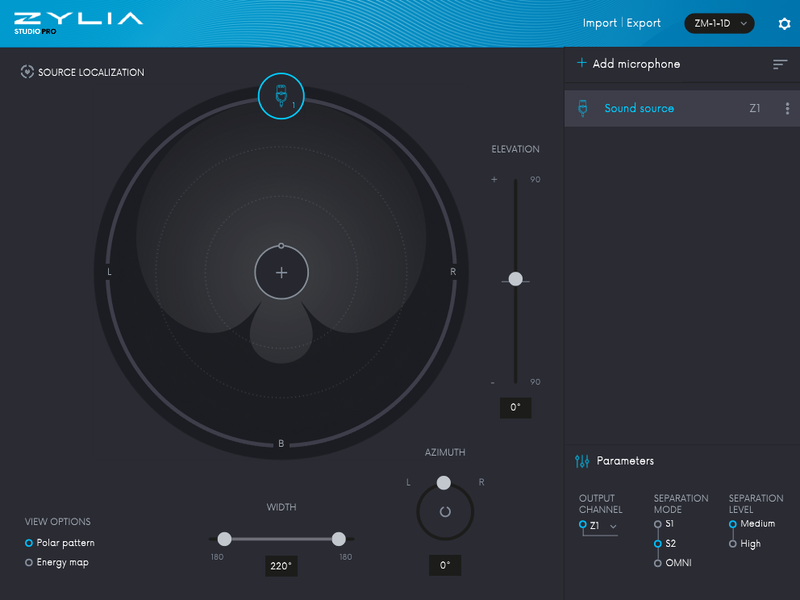 A virtual microphone is a software-defined microphone which combines a spatial filtering and blind sound source separation. 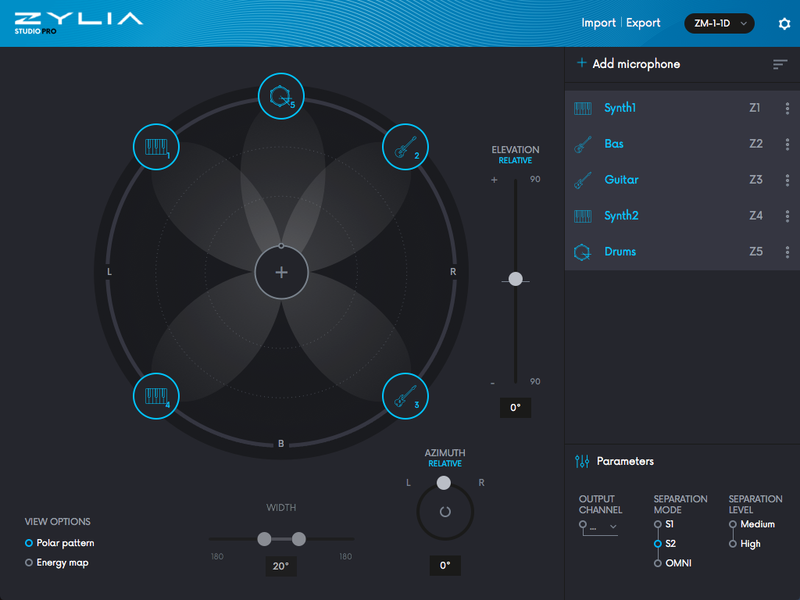 Set and monitor virtual microphones. Freely change polar patterns or characteristics of virtual microphones. 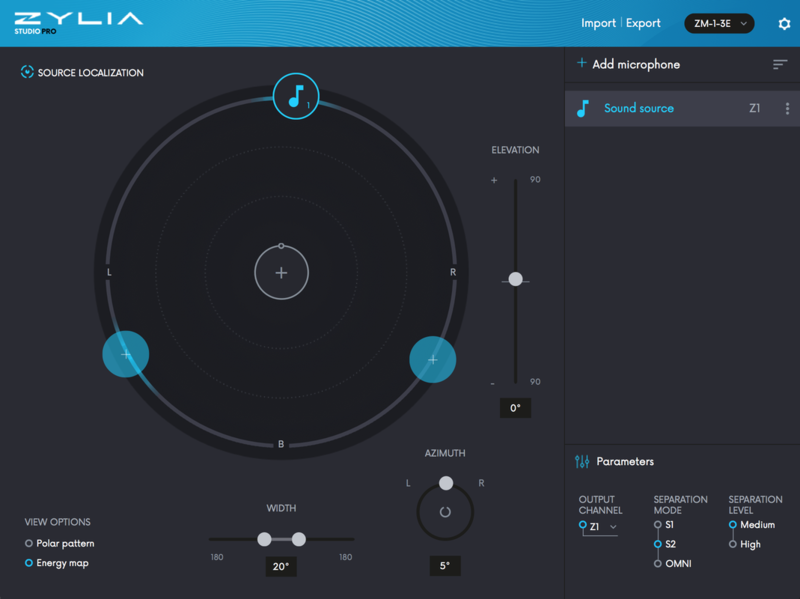 Sound sources separation in real-time. Energy map indicating the location of the sound sources. Automatic detection of the sound sources positions - sound source localization.